Want to feel like a kid in a candy store? 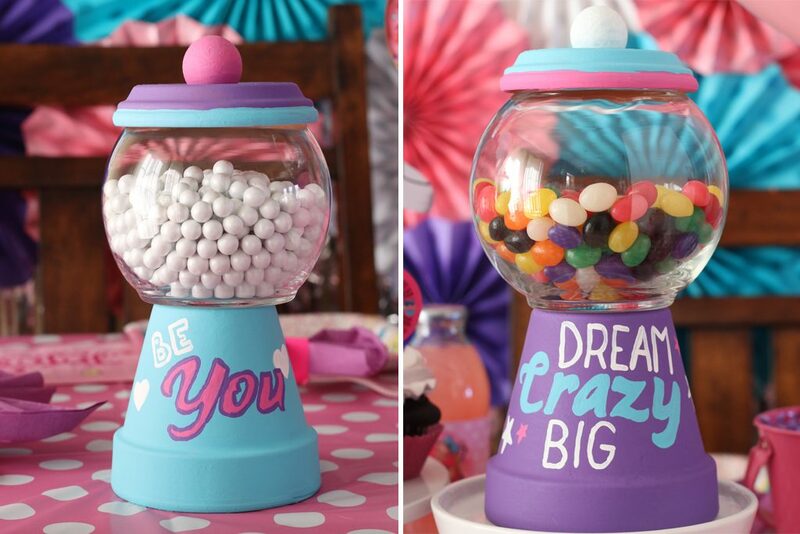 DIY some candy dishes to hold some sweet treats and live the dream like a candy queen! 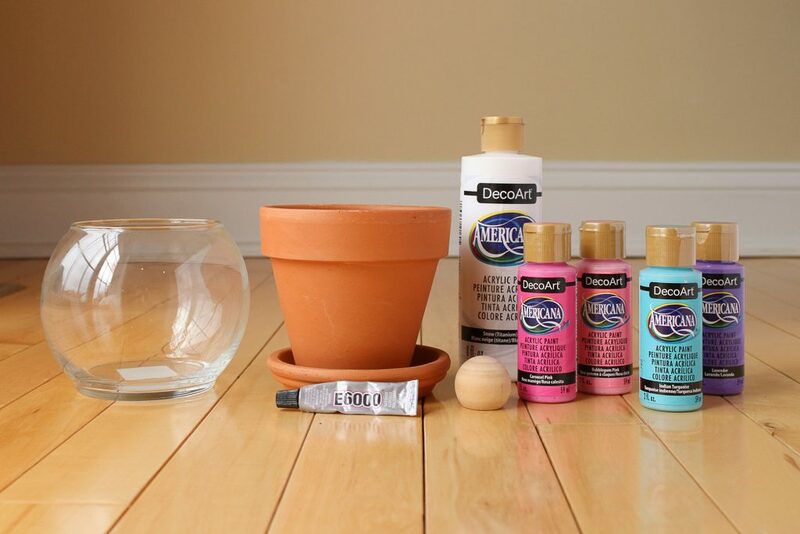 See how to easily paint and customize terra cotta pots to match any party theme with this fun and easy do-it-yourself project! 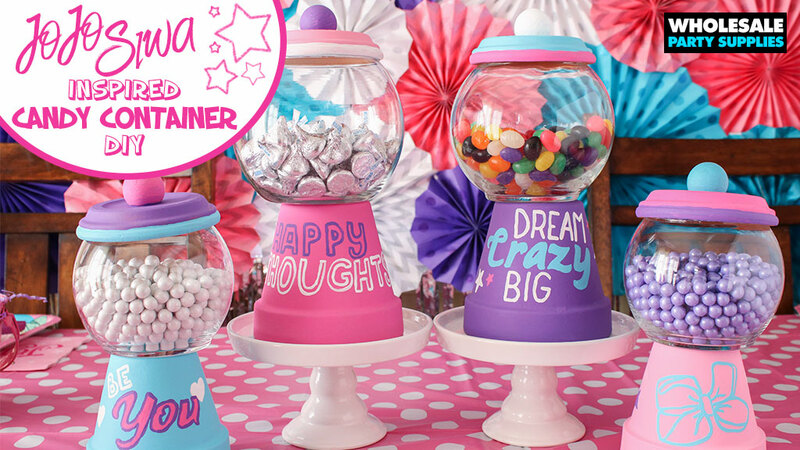 Take notes from JoJo Siwa and live the sweet life with DIY candy dishes filled with gumballs, chocolate sixlets or any wrapped candy that colorfully matches your party! This post was written, styled and shot by Tara at Spot of Tea Designs. 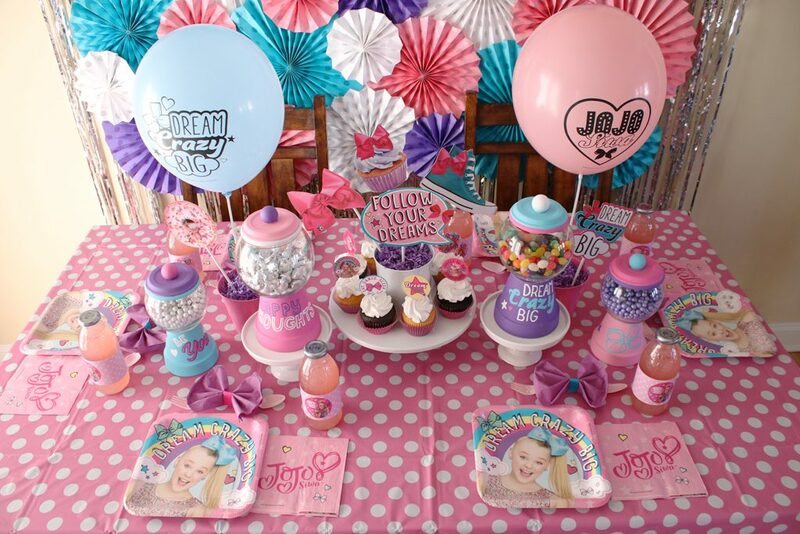 She also put together this bow-some JoJo Siwa Party! Visit her blog for ideas to cover every celebration in life! 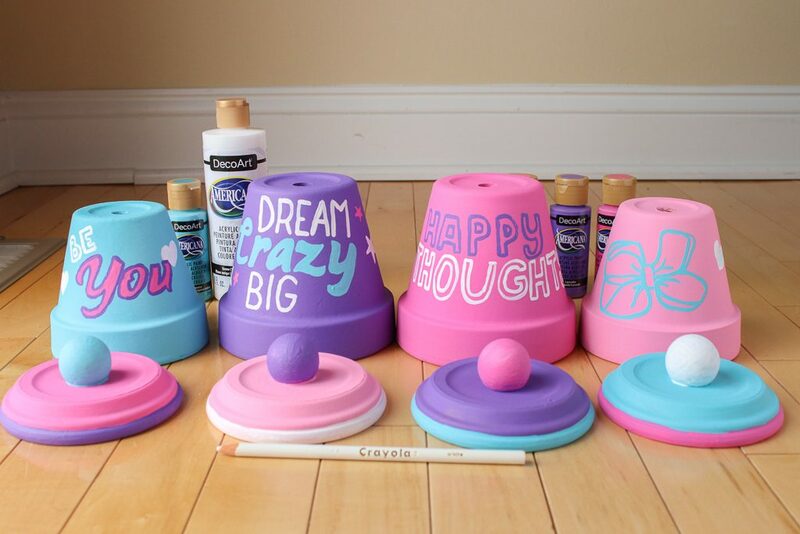 Paint both your lid and your pot in any pattern you choose. Once dry, feel free to add any additional decorative elements, such as more glittered accents, sequins or bows. 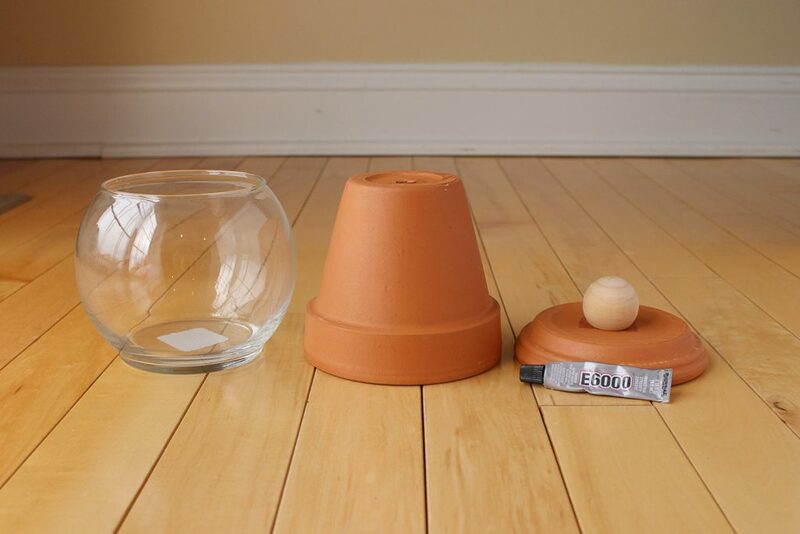 To assemble, place a glass bowl on top of the terra cotta pot, using E6000 to adhere it in place. 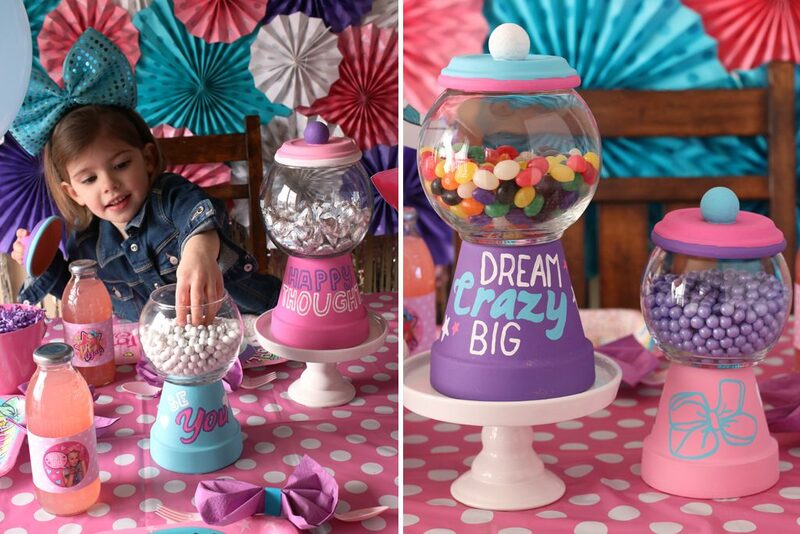 Fill the bowl with your candy of choice and place the lid on top to complete. It now resembles a gumball machine but one that doesn’t require any coins to grab your goodies! 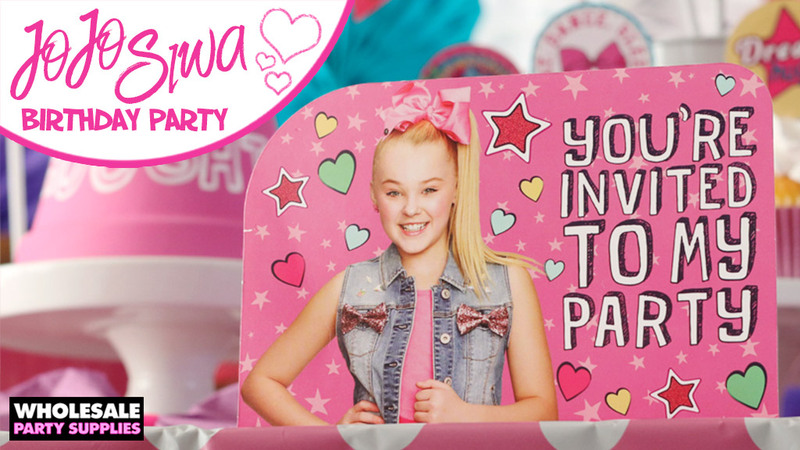 These designs work well for a JoJo Siwa themed party which features lots of candy, color and positive messages! Find us on Facebook, Twitter, and Instagram to keep up with all of our party ideas and DIY projects!